your email to me, above, is not good enough. Her Majesty the Queen in right of British Columbia does business, everywhere in the province, at all times. apparently … just dealing with my simple request for information about due process within a judicial ? proceeding triggered a case of the heebie-jeebies … so bad that Mr Adamson bailed-out of his safe space there at the Seat of All Wisdom, ie. the BCHRC HQ. Back in my day, civil servants were made of sterner stuff. if one of the Queen’s bureaucrats cannot take the stress of blowback from the non-sense for which he’s the flak-catcher, he does not have the luxury of taking a time-out while the scandal dissipates. The BC Human Rights Commission would like us to believe it’s a Person. Thus : the Commission is obliged to co-operate with me in its functioning … not just put out ‘gone fishin’ sign. Text Mr Adamson at his hideout that : I’m just getting warmed up. we have in hand a transcript of the seminar given by psychiatrist W Wong, boasting that he has “over 500 patients going through transition, all in care of the Ministry’ . Meaning : Wong and his pals are running a racket in which they manipulate children to align demselves with the sexual perversions of the Apotemnophilia cult, then bill provincial accounts for concomittant services / drugs / etcetera. Point being : many many children are being mutilated by a bunch of quacks. BC taxpayers are being bilked out of funds by monsters – Wong and the rest, especially the proponents of the SOGI propaganda – as they ruin lives with “experimental medicine” . I remind all concerned that war criminal Joseph Mengele was involved in much the same kind of “research’. The excuse used by Wong et al. is not any different in principle than what the ghouls who run Red China do there … = harvest organs from living human beings. What went on in the show-trial of Oger vs Whatcott, and now the Commission’s refusal to provide a transcript of it, exemplify how tyrants resort to censorship when they’re being exposed. Thank you for your email. I am writing to advise you that the Tribunal Registrar Steven Adamson is away from the office until April 29, 2019 and will respond to your inquiry after his return. please acknowledge receipt of my fax. And also, acknowledge that you’re aware I have requested the Transcripts described. 1. When the first session of the Tribunal in this matter convened I was in the audience. My notes show that Chairwoman Juricivic stated ‘this matter is being recorded. A transcript may be available if a person requests it stating his reasons’. 2. at paragraph 14 of the Reasons for the ruling in this matter, Devyn Cousineau folded-in a paraphrase of what Bill Whatcott had said while testifying. Apparently, a transcript has been made of – at the very least – his testimony. Unless told otherwise by you, I’m going to assume that the testimony of Ronan/ Morgane Oger has also been transcribed. 3. I wish to have a copy of the transcript of what witnesses Oger and Whatcott testified before the Tribunal. Please advise me of the cost of each item and how to go about getting them? 4. I stood as a candidate to be a member of the Legislature in the general election of 2001. I intend to do so in the next provincial election. An essential part of my platform will be ; informing electors and taxpayers as to the implications of what went on in the Oger Whatcott Tribunal. It is of utmost importance for Canadians to appreciate how the ruling in this matter effectively outlaws the preaching of the Gospel of the Kingdom of Heaven, as proclaimed by Jesus Christ and the prophets of Israel. The submission by Dr Lugosi on behalf of Bill Whatcott responding to the Attorney General’s position in this case, sums-up what’s at stake : liberty to participate in democracy during an election, at all. I require the transcripts of the witnesses in order to make them available to the public : this matter is a perfect example of the maxim “Publicity is the soul of Justice” The written record of what was said is crucial for them to make up their own minds about the fitness for office of candidates of the New Democratic Party … for deciding who to vote for, or not vote for. 5. The Bible tells us that “by two or three witnesses a thing is confirmed”. I was not in the room when Complainant Oger gave his testimony. But two of my friends were. They each told me that he related an incident which – ostensibly – demonstrated why the Whatcott flyer was “hate speech” i. e. because a man was so moved by it that he attempted to assault NDP candidate Oger. Ronan / Morgane Oger is a classic example of the fragile homosexual. His type will do and say anything for attention. Had such a thing really happened then he – masterful at using social media – would have maximized it in cyberspace for purposes of his campaign. The lack of any report in the public record, of anything like unto what he pretended, speaks volumes. 7. The notion that Oger ‘was about to be attacked and was only saved by intervention of a police officer’, is a classic example of emotional blackmail / playing on the sympathy of the public conscience – one of the favourite tactics of the Marxists. Had such an incident taken place, Devyn Cousineau would certainly have known about it : she would have used it as part of her Reasons. The fact that she didn’t, tells us that ‘it never happened’. 8. I am unlearned in the law. Nevertheless, I am one of Canada’s most experienced laymen in the laying of private Informations. I have good reason to believe and I verily do believe that, while testifying under Oath, Ronan Oger aka Morgane Oger committed Perjury. I require the transcripts as evidence for substantiating charges against him of Perjury and obstruct/ pervert Justice. 10 Please advise me if Bill Whatcott or his lawyer may obtain a copy of the DARS disc of the entire hearing before the Tribunal of file 16408 ?. I need that information in order for me to subpoena them to the Process Hearing when I lay the private information against Oger. IF YOU CARE ABOUT RIGHTS FOR CHRISTIANS & FREE SPEECH, WE NEED YOUR HELP TODAY! This will be a very expensive Autumn for CAFE. We have intervenor status in the complaint by Ronan Oger, now calling himself Morgane, a transgendered activist who filed a complaint against Bill Whatcott for distributing some 1,500 leaflets during the May, 2017 British Columbia provincial election. 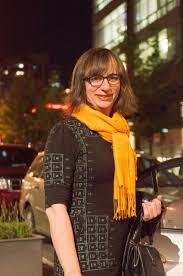 Oger, it was publicized, a vice president of the NDP in B.C., might be the first elected transgendered creature in Canada. Oh, wow! But it was not to be. Mr. Whatcott’s leaflet argued that the Bible says there are only two sexes: man and woman. If Oger can’t even get his sexuality straight, can he really be trusted to make weighty decisions on finance and other matters. Oger lost in an election that was trending NDP in urban areas. He threw a hissy fit and filed a complaint with the B.C. Human Rights Tribunal, alleging that Mr. Whatcott’s leaflets were discriminatory and wounded his “dignity” on the basis of his sexual identity. It might be argued that a guy who puts on a dress, earings and lipstick has already damaged his own dignity. As bizarre as all this may sound, it’s actually quite serious. Part of our democratic freedoms is the right to support or challenge a candidate on the basis of character and policy. Bill Whatcott very skillfully challenged Oger’s delusions about sexual identity — he was married to a woman and fathered two children — and argued that such confusion raised questions about his suitability for public office. Should the B.C. Human Rights Tribunal find against Mr. Whatcott, we shall be seeing the limiting of one’s right even to criticize someone’s sexual identity. If I wake up one morning and feel I am Napoleon, no one should be compelled to address me as “Emperor”. The Tribunal is already insisting that participants play in Oger’s delusional sandbox. In our submissions, we must refer to him as her/she. CAFE refuses to say the Earth is flat. So, our written submissions may seem awkward. Thus, “Oger’s complaint [we will not say, “Morgane”] was filed as retaliation for Oger’s having lost the 2017 election”. You get the picture. There is strong reason to suspect that the Tribunal chair (no, that’s a piece of furniture), chairman (oops, that might be sexist), chairwoman (? whatever) is hopelessly biased. As of November 11, defence has not yet won a single motion. The chairman, Devyn Cousineau (that’s a woman) is a radical pro-lesbian activist and financial donor. For instance, in each of 2014, 2015, and 2016, she contributed between $100 and $249 to Qmunity, a group dedicated to “building better, queer, trans and 2-spirited lives 365 days of the year” and in 2013 an unspecified sum to the same cause. We have challenged her to recuse herself on the basis of “a reasonable apprehension of bias”. She has refused, but, perhaps, feeling vulnerable, late in the day asked the government to appoint two more adjudicators to make it a panel of three. The proceedings are getting nasty. Oger’s lesbian lawyer is demanding $5,000 in costs before the hearing is even held. Cousineau has not yet ruled on this but notes: “Mr. Whatcott’s public comments are deliberately derogatory towards Ms. Oger. He is also, in colourful terms, highly critical of the Tribunal and me personally and clear in his view that this process is a ‘kangeroo court’. Let’s just say, things are getting nasty. Mr. Whatcott has an excellent Victoria-based lawyer Charles Lugosi. We have paid for some legal work for our submissions thus far. The Tribunal will run from December 11-17 in Vancouver. I reckon the costs of our participation during the hearing will be $5,000. We desperately need your support today! Mail us a cheque or money order TODAY to CAFE, P.O. Box 332, Rexdale, ON., M94 5L3, CANADA. Or, if you feel comfortable, send your VISA or Mastercard number in two e-mails (number in one, expiry date in second) topaul@paulfromm.comOR call in this information to 416-428-5308.